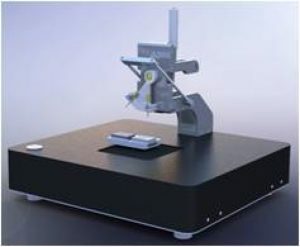 6 Standard Tissue Blocks mounted on “quick luck frame” on a MARZHAUSER (130x80mm) motorized stage. Core selection (with manual or digital overlapping, with stretch function). Proprietary CK3600 SW (R) with “friendly user interface” allowing: TMA Geometry definition; TMA Design, TMA Construction and TMA reporting). Proprietary remote SW (allowing multiple users, to define the TMA geometry and Design at remote location. Generation of XML files (with all core coordinates and related info) to feed to any commercial Digital Scanners (e.g. Aperio, Hamamatsu, TissueGnostics, Visiopharm, etc.) ensuring traceability, during the TMA Construction and Analysis of Tissue Core images.